Bulldogs return almost all of a loaded lineup and solid defense, though pitching takes a hit. The Hall-Dale baseball team reached the Class C pinnacle last season. And it’s not going to be easy for the opposition to pull the Bulldogs back down this year. Hall-Dale had nearly its entire roster return last year, and the Bulldogs are in a similar position this time as they try to defend the title they secured with a 2-1 victory over Houlton. The heart of the lineup is back. The core of the defense is back. There’s veteran poise everywhere you look. The Bulldogs aren’t the only baseball team defending hardware; Richmond took the Class D title last season, its first since 2010. But while the Bobcats lost the heart of their production in Zach Small and Matt Rines, the Bulldogs weren’t hit as hard. At Hall-Dale, the top four hitters in the lineup are all back. Mountain Valley Conference first-team picks Austin Stebbins and Akira Warren give the Bulldogs their leadoff man and clean-up hitter, respectively, while Jacob Brown and Alec Byron are back after batting second and third. The sense of continuity continues with Patrick Rush, Tim Cookson, Logan Dupont and Josh Nadeau likely returning to lineup spots, giving Hall-Dale eight of the nine bats coach Bob Sinclair was penciling in on the way to the title. The defense will also have the same backbone: Warren at catcher, Byron and Brown at shortstop and second, respectively, and Stebbins in center field. A repeat isn’t a slam dunk, however. 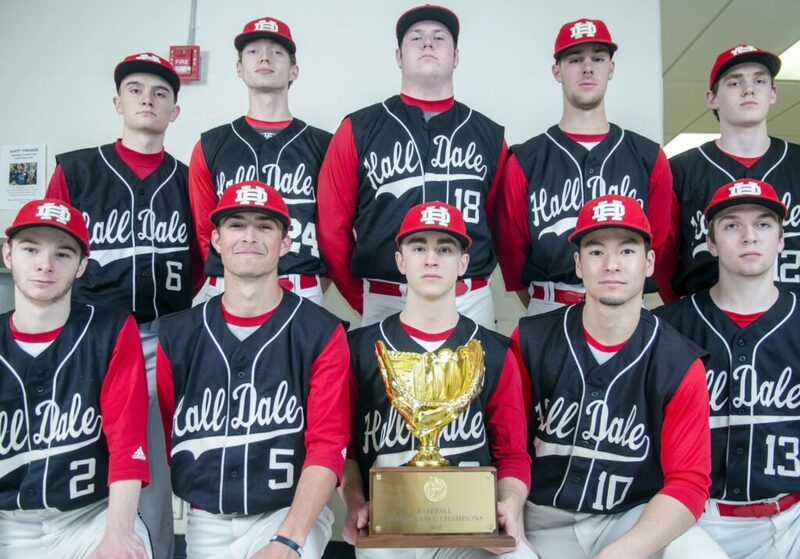 Hall-Dale’s in good shape at the plate but pitching is a question mark, as the team lost its top two pitchers in Dean Jackman and Cole Lockhart, both of whom pitched masterfully in the playoffs. To fill those gaps, Sinclair will need to do some shuffling. Warren, who thrived as the No. 3 pitcher last year, is the easiest pick to take over as the ace, but that means Hall-Dale gets less of arguably the conference’s best catcher behind the plate. Byron, Dupont and Brown, all of whom have pitched sparingly, will now get the ball in big games against good teams. Sinclair knows those cracks are there, but he also knows he has a lot of talent from which to work to get them fixed — and to have the Bulldogs playing some more big games in June. That’s bad news for the rest of the state.